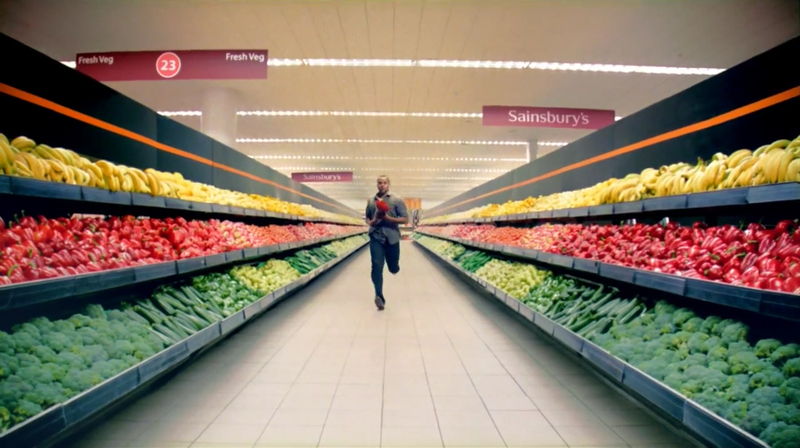 British supermarket chain Sainsbury’s is promoting its sponsorship of the 2012 Paralympic Games with an advertising campaign featuring Paralympic GB athletes alongside David Beckham. The TV spot will be backed by in-store promotions as well as tactical activity around specific athletes on its social media channels, the Sainsburys Paralympics site, and through print adverts. Sainsbury’s is also backing the Paralympic torch relay, which will visit selected stores as part of the deal. The Paralympics Extraordinary ad was developed at AMV BBDO, London, by creative director Paul Brazier, copywriter Gary Walker, art director Huw Williams and agency producer Yvonne Chalkley. Filming was shot by director Tom Carty via Gorgeous, London, with producer Sam Levene. Editor was Scot Crane at The Quarry with assistant editor Jonathan Casey. Post-Production and visual effects were producer at The Mill, London, by VFX producer Sophie Hogg, shoot supervisor/2D lead artist Barnsley, 2D artists Joe Tang and John Price, 3D artists Ivor Griffin, Tom Bolt, Liz Mitchell, James Mulholland, matte painter Jiyoung Lee, motion graphics artist Henry Foreman and colourist Seamus O’Kane. Music is “A design for life” by Manic Street Preachers. Athletes featured are archer Melanie Clarke, athletes Jonnie Peacock and David Weir, basketballer Helen Turner and Claire Strange, cyclist Jon-Allan Butterworth, fencers Simon Wilson and Craig McCann, and swimmer Ellie Simmonds.